In the last few weeks, I’ve been feeling empowered and inspired. I’ve been putting a lot of time into my Philanthropy efforts so you know the saying – it’s better to give than receive so I’m attributing my newfound happiness to that! 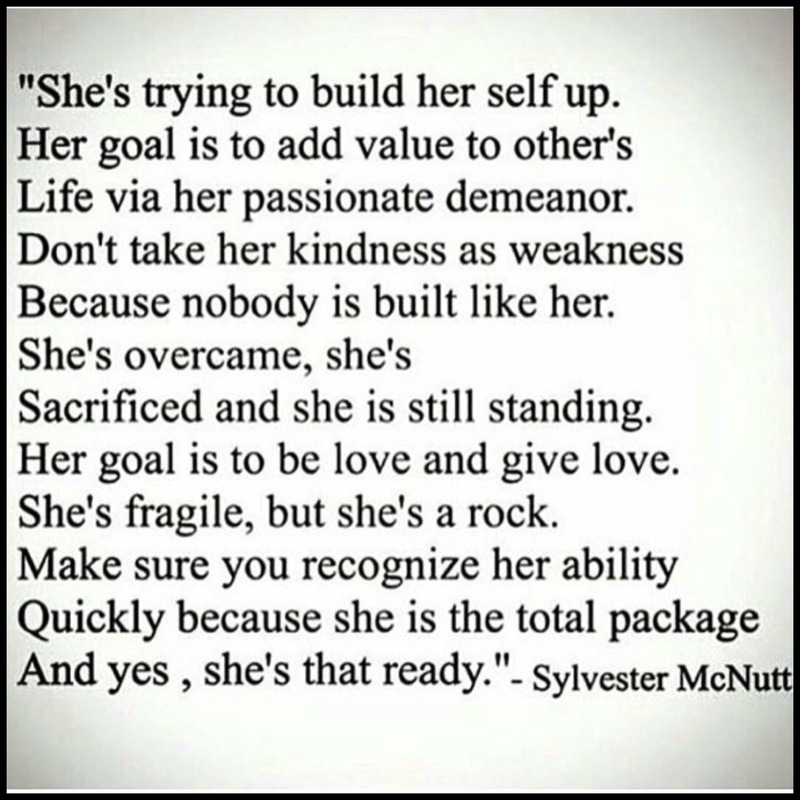 Recently, I came across Sylvester McNutt’s Instragram page and found some very inspiring and REAL words so I’m sharing one of his quotes today. I’m also excited to find out that he has a book, The Dear Queen Journey: A Path To Self-Love which I just ordered on Amazon and hoping to get in the next couple days! Simply put – if I can only empower and encourage one person, then I’ve done my job. I am beyond blessed to have a group of females that are strong, empowering, scarred but healed, classy yet feisty, independent by giving…the list can go on and on. Ladies, we have worked extremely hard to become the people that we are today and we are here living and breathing – and kickin’ @$$ whether in the boardroom, the gym and any other places that we allow our presence. We are ready.